Why is the script for deletion called Roomba? But I can’t find the origin of the name Roomba. Could someone explain it to me? A Roomba is a brand of automatic robotic vacuum cleaner for cleaning floors. The first robotic vacuum cleaner was the Electrolux Trilobite in 2001. The iRobot Roomba was released in 2002. 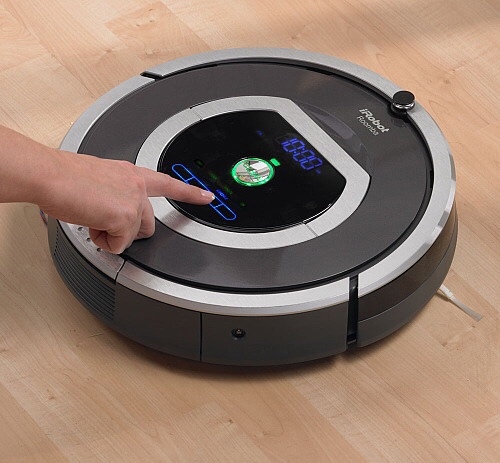 Many brands are now available, but it is the Roomba that most people associate with robotic vacuum cleaners (in the same way the brand Hoover became associated with standard vacuum cleaners in the past. Image taken from the Wikipedia Roomba page. The implication is that the post deletion script functions by itself in the background, so sometimes users will find posts have been deleted when they return home, much like the way in which a robotic vacuum cleaner will clean your house while you are away. It’s probably important to point out that XKCD loves Roombas! Another consideration (with thanks to Mari-Lou A) is that the word Roomba is a play on words. Rumba is a style of music and type of dance. The robotic vacuum cleaner also dances and sweeps across the room, hence roomba. Similarly the Stack Exchange Roomba sweeps data away. Not the answer you're looking for? Browse other questions tagged discussion deleted-questions auto-delete terminology . Is resources reduction one of the important reasons that questions/answers are deleted? Why aren't people voting for questions? Can a machine be taught to flag spam automatically?